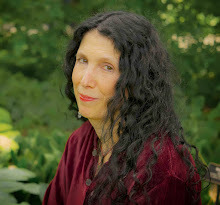 Amy Stewart is the author of seven books. 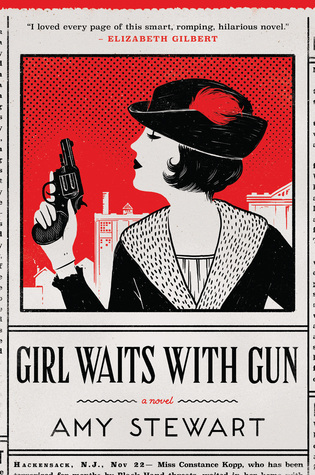 Her latest, Girl Waits With Gun, is a novel based on a true story, and the critics are already going wild for it. The New York Times calls Girl Waits with Gun "a fine, historically astute novel," and The Washington Post calls it "an entertaining and enlightening story of how far one woman will go to protect her family." And I call it dazzling, moving and as incredible as Amy herself. 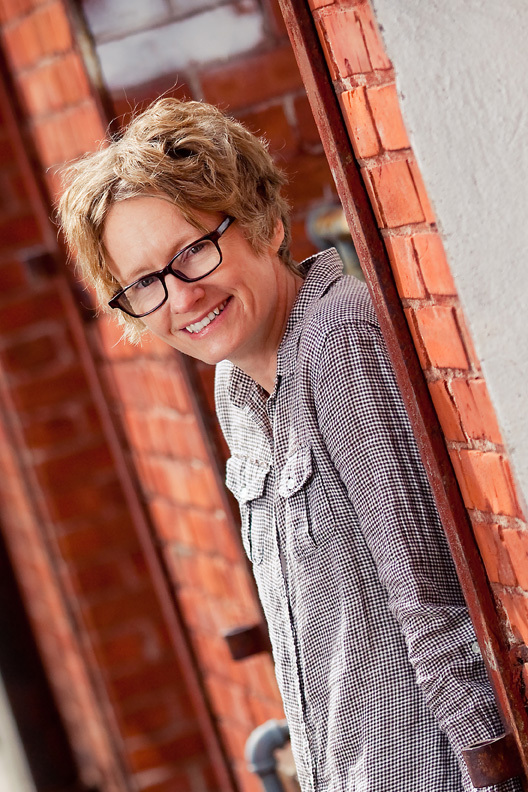 Amy's also written six nonfiction books on the perils and pleasures of the natural world, including four New York Times bestsellers: The Drunken Botanist, Wicked Bugs, Wicked Plants, and Flower Confidential. 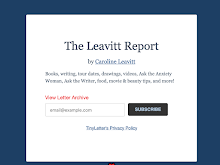 She lives in Eureka, California, with her husband Scott Brown, who is a rare book dealer. They own a bookstore called Eureka Books. The store is housed in a classic nineteenth-century Victorian building that Amy very much hopes is haunted. I always want to know what sparks a particular book? What was it about Constance that captivated you? It started with one 1915 newspaper article. I was actually researching a gin smuggler named Henry Kaufman for The Drunken Botanist. I wondered what else he might have done, and his named turned up in a New York Times story about a silk factory owner who ran his car into a buggy being driven by the Kopp sisters. I never did figure out if it was the same Henry Kaufman, but the case was interesting, so I kept it. Now this happens all the time when I'm doing research, and maybe the same is true for you. I run across some unrelated story and think, "Hmmm, that's odd. I'd better keep that." But this was different. I set aside my Drunken Botanist research for the day and kept looking for stories about the Kopps. By the end of the day, I had a stack of clippings and a major crush on these three women. Constance in particular was just so badass. She was a large woman--around six feet tall, 180 pounds--and she was thirty-five and unmarried when this started. When Henry Kaufman started harassing her family, she was just so fierce--maybe because she had nothing to lose, maybe because she hadn't known her own strength before he came along. All your other wildly successful books have been non-fiction. How difficult was it to switch to fiction? What were the minefields for you? The pleasures? What was the writing process like for you? It has been a pure pleasure. Fiction is what I read. I mean, I read a lot of nonfiction for research, but when I have a choice, it's always a novel. I'm one of those people who wanted to be a writer when I was five. I didn't even know what nonfiction was at that age. All I knew were stories. That's what I wanted to do. The frustration with nonfiction is that the truth does not always bend itself neatly into the shape of a story. Sometimes I end up with really fantastic pieces of information that are incomplete, or contradictory, or just don't serve the narrative as I've decided to tell it. But with fiction, I'm so much freer. I get to fill in the blanks. The conceit of this book is that if it really happened, it's in there. So most of the major events are real. I changed very few factual elements of their story, and I explained those changes in the afterword. When I wove in fiction, it was to round out their lives and to bring this fascinating time period to life. Paterson, NJ in 1914 turns out to be really interesting. I got very sucked into the Paterson silk strikes of 1913 and wanted to weave that in as a backdrop. So a fictional character, Lucy Blake, let me do that. Constance is so fully realized on the page. What about your research surprised you? I'm glad you think she's fully realized. I feel very connected to Constance--she's very real to me, as real as, say, my own female ancestors of that time period are. I have a few newspaper quotes of Constance in her own words, and I've interviewed family members who can tell stories about her. For instance, her niece Lorraine, who was a little girl when all this was going on, was terrified of Constance her whole life. Anytime a girl in the family acted out, Lorraine would try to put her in her place by saying, "You sound just like your aunt Con." It made sense to me that Constance would seem formidable to a little girl, and that a certain kind of woman would be really intimidated by her. Did you ever find yourself so immersed in the past that the future seemed faded in comparison? Yes, especially when I go back to Paterson and Hackensack to do research. I can't tell you how odd it is to be able to go and stand in the very places where events in my novel took place. I stand on the corner where the girl waited with the gun, or I go back to the creek where someone shot at Fleurette. It is just spooky and mystical and bizarre to be able to quite literally stand in her footsteps. And to visit her grave--imagine going to the graves of your characters! It's heartbreaking and moving beyond words. I want to bring them back, in some way. I really do. Constance isn’t the only fascinating woman in the book--she’s got her sisters. Tell us about their particular place in history. Yes, they're quite a trio. Constance is the eldest, then comes Norma, and Fleurette is the youngest. I have wonderful photographs of Fleurette (you can see one on my website here: http://www.amystewart.com/characters/), and I really only had to take one look at her to understand her. She was young and fashionable and maybe a bit flighty, and drawn to danger. Theatrical. I have newspaper clippings about singing competitions she entered. It's the wonderful thing about writing about an era in which there were half a dozen daily papers--every little thing anyone did got a mention in the paper. Norma was harder to pin down. I don't have a picture of her, which drives me crazy. But I was able to interview family members who remember her from their childhood. She was formidable. Very opinionated, very no-nonsense--just hard as a rock. She was in everyone's business and did not hesitate to dish out very blunt criticism. She reminds me a little of a younger American version of Maggie Smith's character, the Dowager Countess, on Downton Abbey. She made it her business to keep everyone else in line. The US Army's use of carrier pigeons in World War I. When you read the book, you'll see why! You wanna know where I'm going on tour? Everywhere! Please, people. Come see me! Tell your friends!